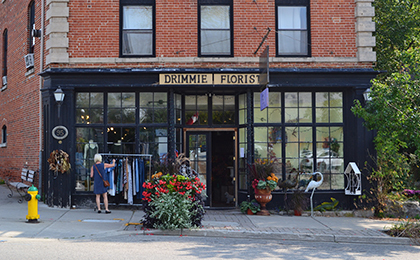 Located in a historic building, once home to the Elora General Store, Drimmie Florist is a family-run business with over three decades in the community. Step into a garden-like atmosphere displaying beautiful floral artistry, home décor, garden accents and more. Be sure to stop in for fresh flowers, because there is always an occassion for your special someone.